Crystal Ball on Base 2 3/8"
Finest optical crystal ball on base. 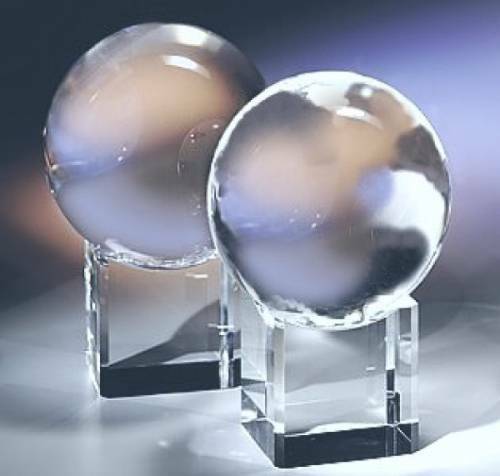 All crystal balls and globes come with bases. Please call for separate pricing. Ship Weight: 1 lb. 3 oz. Etching Area on base: 3/4" x 1"